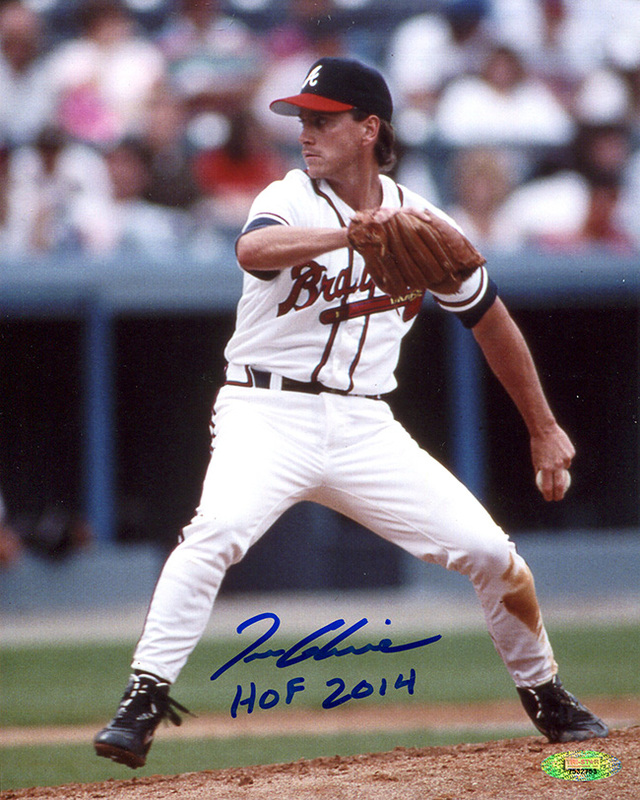 This Atlanta Braves 8x10 photo has been personally hand signed and inscribed “HOF 2014” by Tom Glavine. Each autographed photo includes an individually numbered, tamper-evident TRISTAR Authentic hologram, which can be verified online at www.tristarauthentic.com. Tom Glavine is a former left-handed pitcher known for his excellent control and deception against his opponents. The 10x All-Star and 2x NL Cy Young Award Winner helped lead the Atlanta Braves to a 1995 World Series Championship where he was named MVP. The Braves retired Glavine’s jersey number and in 2014 he was inducted into the Baseball Hall of Fame in his first year of eligibility.